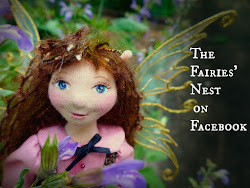 I've decided to start something new for my blog and once a week (okay I may be thinking a bit optimistically but go with me here) post some fabulous fairy tale finds (sorry, word geek alliteration frenzy there). I'm going to try an have a theme each time and this weeks theme is "Little Red Riding Hood" or "Red Cap" as she's known to some. Enjoy! 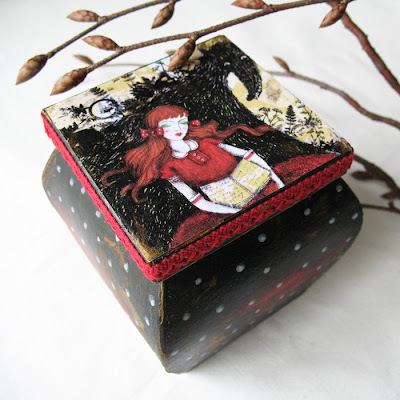 Isn't this box by Minasmoke lovely? 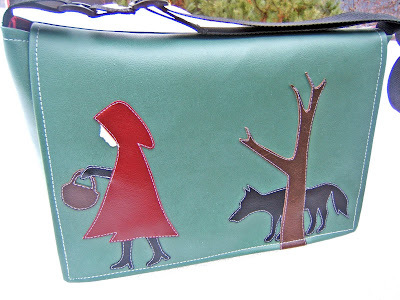 I'm so coveting this messenger bag from Kitty Empire. 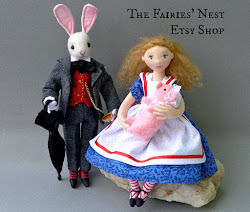 Two adorable dolls from one of my favorite shops, Two Left Hands. 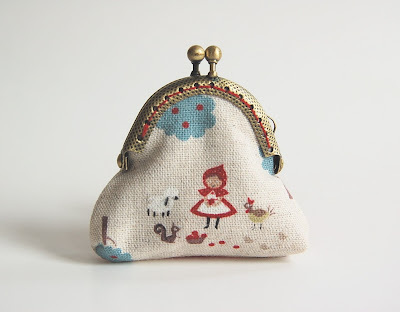 And this little change purse from Zemphira is beyond cute! 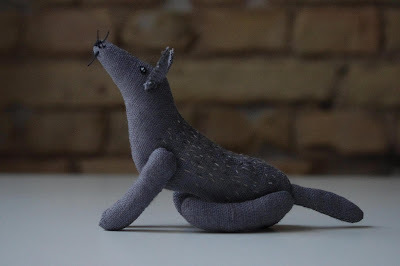 Last, but definitely not least, I had to include this adorable little wolf from adatine. Who wouldn't want to meet a wolf this sweet? Those are some really great finds! I do the Friday finds things, too, and actually really enjoy it. It helps me find all kinds of new and exciting artists and helps keep me on a blogging schedule. Have fun with it! What a fun idea for a post. 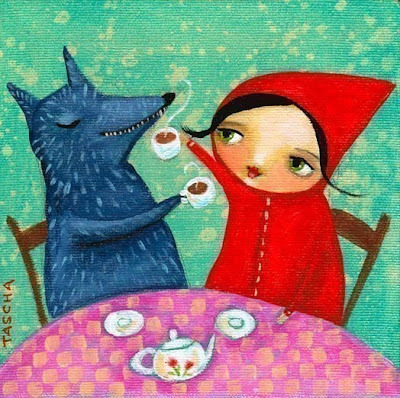 I love the Red Riding Hood things. A fun theme and some great items of course. You're right, those bags are fantastic! Awesome red riding hood finds - one of my favorite fairy tales. Great finds! Especially the adorable little wolf. 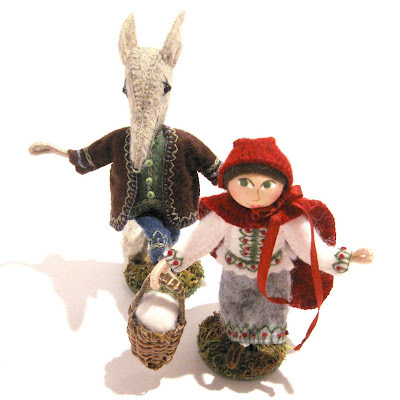 Little Red Riding Hood may be my favorite fairy tale of all. 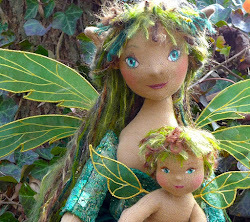 Just found your blog after you left a comment over at A Fairytale of Inspiration. I have to say I love, love, love it! I can see myself being back a lot! Thanks for sharing your lovely finds.